I have just heard that the United Nations will be coming to visit Japan again in late March to see how she’s doing regarding keeping her promise to eliminate with racial discrimination. I know for a fact that “Japanese Only” etc. signs and rules are up around Japan in various guises and places of visit. I have been asked to help out giving a tour of these places in the Osaka, Kyoto, Nagoya, and/or Tokyo areas. 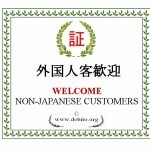 So let me ask Debito.org Readers: Do you know of any places open to the public in these areas that explicitly refuse NJ (or those who look like NJ) entry and service? The best places actually have a sign up saying so. If so, please send me (to debito@debito.org) 1) a snap photo (cellphone ok) of the sign, 2) a snap of the storefront with the sign visible, 3) the name and approximate address of the place and date of photos. I’ll do the rest. Thanks for helping out. In one more step to define Japan’s slide into international irrelevance, the national sport (kokugi) has decided to turn not only exclusionary, but also undeniably racist. The Japan Sumo Association announced this week that it will no longer count naturalized Japanese sumo wrestlers as “real Japanese”. Then it will limit each stable to one “foreign” wrestler, meaning “foreignness” is a matter of birth, not a legal status. This is a move, we are told by the media, to stop sumo from being “overrun with foreign wrestlers”. Well, f*** you very much, Sumo Kyoukai. You are the shame of Japan. And I’ll talk more about it on March 2, so get a copy of the Japan Times! Commenter PT: For years now, going back to the release of the Megumi Yokota movie back in late 2006/early 2007, we have been trying to point out the hypocrisy of the Japanese government in insisting that the United States support their efforts to get back their 17 citizens abducted to North Korea between 27 and 33 years ago, while continuing their ongoing state sponsored kidnapping of hundreds of American children to Japan. Well, it looks like we have finally reached the point where the United States Government has once and for all pointed this hypocrisy out to the Japanese Government. Kyodo: A senior U.S. government official has warned Japan that its failure to join an international treaty on child custody may have adverse effects on Washington’s assistance to Tokyo in trying to resolve the issue of North Korea’s abductions of Japanese nationals, diplomatic sources said Saturday. In a new trend of “Japan Passing” (a play on the old debate-stifling term “Japan Bashing”, except this time it refers to Japan being passed over in importance as the purported “leader of Asia”, in favor of China), we see the ultimate effect of Japan’s closed-door policies towards the outside world (including immigration) — foreign correspondents pulling out and closing up shop, turning fading economic superpower Japan into an international media backwater by degrees. It’s sad to see the FCCJ (who accepted me as an associate member earlier this year, thanks) dwindling this much. But after “two lost decades” of Japan’s economic stagnation and the previous decade criminalizing and excluding immigrants, culminating in a policy push to send them “home” despite all their contributions, it’s just one more chicken coming home to roost. Kyodo: The Kumamoto District Court awarded more than Y17 million in damages Friday to four Chinese interns who were forced to work long hours for low wages in Kumamoto Prefecture. The court ordered that the union Plaspa Apparel, which arranged the trainee work for the four, to pay Y4.4 million and that the actual employer, a sewing agency, pay y12.8 million in unpaid wages. Article: McDonald’s Corp. (MCD) is closing 430 restaurants in Japan, the latest sign of the faltering economy in the Asian country — The Golden Arches has been struggling in Japan for a while. Last year, a marketing campaign featuring “Mr. James,” a geeky, Japan-loving American, was denounced as an offensive flop, according to Time.com. McDonald’s has tried to appeal to Japanese tastes with wassabi burgers, chicken burgers and sukiyaki burgers. A Texas Burger, with barbecue sauce, fried onions, bacon, cheese and spicy mustard, proved to be a hit. But consolidated sales at McDonald’s Japan fell 10.8% last year. Profit is expected to plunge 54.7% this year. COMMENT: Kinda makes you believe in karma. Zamaa miro. Pursuant to the discussions we’ve had on Debito.org about exclusionary hotels, here’s an email I got last month regarding Comfort Hotel Nagoya’s treatment of a NJ customer, and how Debito.org empowered her to stand up for herself. Well done. Even the management says the administrative guidance offered by the authorities, as in the law requiring ID from NJ tourists vs. the official (but erroneous) demands that all NJ show ID, is confusing them. And since I’ve pointed this out several times both in print and to the authorities (and the US Government itself has also asked for clarification) to no avail, one can only conclude that the GOJ is willfully bending the law to target NJ (or people who look foreign) clients just because they think they can. Don’t let them. Do what SM did below and carry the law with you. Mainichi: “A Rwandan man seeking refugee status in Japan has been held in custody for over two weeks, on suspicion of violating the Immigration Control Law. This negligence on the part of otherwise thorough policing in Japan is worse than ironic. It should be unlawful — harassing, even incarcerating, otherwise law-abiding NJ just because they got zapped by racial profiling in the first place. Ariel on the continuing saga of the bored Narita Cops and their Gaijin Check Practice on Caucasian NJ: “One or two of the officers would periodically search for someone to check. They were most certainly not being random, they would stand in the flow of traffic and scan those passing by until someone caught their fancy and then they’d make a bee-line for them. I saw them stop a total of 11 people, ALL of whom were caucasian, and all of whom were walking alone or in pairs. None of the 11 protested, but then again they all had luggage and/or had just exited customs, so it’s quite possible they were mostly tourists. I did not see them stop any other NJs (black, latino, etc), but strangely there seemed to be only caucasians and asians in the terminal at the time (yes, I looked). The only time I saw the officers speak to an asian was when a young woman approached an officer and asked for directions. Guest writer Mark Thompson: A daycare center named Midori Hoikuen, or Green Daycare Center, in Tokorozawa City in Saitama Prefecture, located just 30 minutes by train from Ikebukuro station in Tokyo, has been teaching hate speech to three-year old children daily, despite the protests of the parents of at least one biracial child in the class. Please also make your voice heard, by sending a carbon copy to Tokorozawa City Hall, Department of Daycare Services, which has been informed of this issue. Although technically a private institution, the parents [of the biracial child] were originally instructed by the city of Tokorozawa that their child would have attend daycare there. TOKYO The National Police Agency detected 964 white-collar crimes by visiting foreigners in Japan last year, up 31.2% from the previous year, it said Thursday. The number of visiting foreigners charged with such crimes came to 546, up 7.9%, according to the NPA. It said notable among the crimes was teams using faked credit cards. Guest Blog Entry: This is Laura Petrescu again — the MEXT scholarship grantee who shared her studying experience with you all last year. I’ve decided to waive my scholarship and return to my home country. There are two reasons for my decision. [snip] Prospective MEXT students need to know all this. Having this information can help them decide whether it’s worth to spend five years here, re-learn everything they thought they knew about Japan, struggle to fit in, be treated questionably time and again, and possibly not learn anything beyond the absolute basics of their field, just to get a piece of cardboard that says they graduated from a Japanese university. Not to mention that the allowance is hardly enough to get by once they get kicked out of their dorm — and everyone gets kicked out of their dorm after a year (or two, if they’re lucky), and most of the small university taxes are NOT paid by MEXT (I had to pay roughly 80.000 JPY when I enrolled, no idea what those were for, but there you go). Add that to the cost of moving to another city (which most foreign students have to do after their preparatory year) and later on, the key money, etc., required to move to an apartment or mansion, and it’s obvious that not only the students, but also their families will probably have to make considerable efforts as well. COMMENT: This is bad news for Japanese institutes of higher education, which sorely need students due to the declining birthrate, and for Japan’s industrial prowess, which is poorly served by a system that cannot reap the benefits of international students being trained through our tax monies for our job market. Olympics are the topic du jour, so let’s bring up something that relates to Debito.org. Of course! Japan is my country and/or my home, and I support the home team! No, I support a different country, ‘cos it’s my home, etc. I don’t support “Teams”. I support individual athletes doing their personal best. I don’t buy into this “Medal Count” and nationalism hooey. Don’t know / Don’t care / etc. Creepy LA Times article on vigilante Korean otaku group stalking “English teachers”: “The volunteer manager of a controversial group known as the Anti-English Spectrum, Yie investigates complaints by South Korean parents, often teaming up with authorities, and turns over information from his efforts for possible prosecution. I had an odd experience on Feb 5 at the hands of Air Canada in Narita. I was paged shortly before boarding along with about four other people to come to the Air Canada desk at the gate. I paused and told them that was unessential information. Quick blog entry for today, as I recover from 9.5 hours of dental work over three days at an excellent Edmonton dentist’s. It wasn’t a comfortable experience, to be sure, but it wasn’t painful (I had a tooth pulled at age 7 or 8 — that set me on the straight and narrow when it comes to cleaning my teeth assiduously; five cavities at once this time were the first fillings I’ve had in about fifteen years.) And all told, I spent about 9 and a half hours in the dentist chair. Boy my mouth feels awful, but my teeth feel good. But this is what happens when you’re as paranoid of Japanese dentists as I am. My last teeth cleaning (in Japan) was about five years ago — and it was so bad (the doc wore gloves but a very stained smock) that they gave me an ultrasound (no scaling below the gums afterwards), then a flossing — and snapped the floss on what was left behind. I told them to start again. Cost 3000 yen all told. Got what I paid for. No doubt the black calculus that my Canadian dental hygienist scraped out (and proudly showed me a huge fleck of) was missed back then. Ugh. So, how are other people’s experiences with dentistry in Japan? Floor is open to discussion. That’s all for this month! Sorry for the fat Newsletter this time, and thanks for reading! Located just about 50 kilometers off the Korean Peninsula, the Japanese border island of Tsushima has recently witnessed an influx of South Korean tourists. But Korean land and property acquisitions following the boom in tourism have caused ripples among some islanders and conservative Japanese politicians concerned about national security. Long touted as a ‘‘natural fortress,’’ the 700-square-km territory of some 36,000 people, about 90% of which is mountains and forests, has been on the front line of Japan’s defense. At present, some 700 Self-Defense Force members are stationed on the island to keep guard over the coastal areas. The number of South Korean tourists to the island about 130 km northwest of Fukuoka has been on the rise since the launch in 1999 of a high-speed boat service linking Busan and the island in 90 minutes at the shortest distance, according to Tsushima city officials. The number of Korean visitors hit 72,349 in 2008 propelled by the won’s strength against the yen, before falling to 45,266 in 2009 due to the global economic crisis and the won’s sharp fall relative to the Japanese currency, they said. Even though tourism was estimated in 2008 to have generated 2.1 billion yen and 260 jobs on the island suffering from depopulation, the revelation that a land lot adjacent to a Maritime Self-Defense Force facility was occupied by a lodge mainly accommodating South Korean fishermen alarmed some local residents and conservative politicians. ‘‘Although the MSDF says the presence of the lodge does not cause any problem in its activities, we feel as if we are being kept under surveillance’’ by the South Koreans, said Masayoshi Matsui, who heads the local chapter of the Japan Conference, a group of conservatives. The transaction of the land lot in 2007, which was originally owned by a Japanese pearl farming company, was made under the name of a local Japanese resident, and it did not cause any legal concerns as the area was not part of the city planning, according to the Tsushima officials. Behind the concerns of some islanders and conservative Japanese politicians is the passage of an ordinance in March 2005 by South Korea’s Masan city assembly that designated June 19 as ‘‘Daemado (Tsushima) Day,’’ claiming the island as a South Korean territory. The assembly of South Korea’s southern port city said the Joseon Dynasty (1392-1910), the last dynasty on the Korean Peninsula, dispatched its navy to conquer Tsushima, which was said to be a base for Japanese pirates, on the day in 1419. The total land area known to be held by South Korean entities accounts for only 0.007% of the island, but those alarmed by the move feared that these places could harbor Korean spies and guerrillas who smuggle themselves into Tsushima. Tanju Matsui, another member of the Japan Conference and a representative of Shinto followers at a local shrine, said he is especially worried about the government of Prime Minister Yukio Hatoyama’s attempt to introduce a bill to give foreign residents local suffrage. ‘‘In a small community like Tsushima, there is a possibility that the city assembly and the mayoral post could be taken over by Koreans,’’ he said. 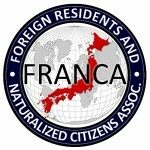 Japan does not allow permanent foreign residents, most of whom are those of Korean descent, to vote in elections. There are strong calls among them for the right to vote in local polls on the grounds that they pay taxes as local residents, but the envisioned bill does not provide those foreigners with the right to run for office. Eriko Yamatani, a House of Councillors member of the opposition Liberal Democratic Party, has been calling for special legislation on Tsushima to restrict land sales to foreigners and introduce measures to boost the local economy without heavily depending on Korean tourists. She heads a Diet members’ group to protect Japanese territories. However, city officials promoting Tsushima to South Koreans downplay the security concerns as they aim to further increase the number of Tsushima-bound Korean tourists to 100,000. Kenichiro Motoishi, head of the city’s tourism and industry promotion office, pointed out that the central government has tried to support the economy of remote islands to maintain the country’s territorial integrity since the 19th century, but failed to do so because of its weak financial base. At the height of Japan’s asset-inflated bubble economy in the late 1980s, Mitsubishi Estate Co acquired a controlling stake in the operator of the New York building, triggering an outcry in the United States. About a dozen South Korean veterans demonstrated in front of Tsushima city hall in July 2008 to claim their territorial rights over the island, but those kinds of people are rare, he said. Hong Kun Ho, manager of Tsushima Daea hotel run by the group based in South Korea’s Pohang that also operates the high-speed vessels to and from Busan said almost all the customers at his hotel are Koreans who visit the island on a two- to three-day package tour. Many of the Korean visitors are in their 50s or older and go fishing and mountaineering in the ‘‘quiet and relaxing atmosphere’’ of the island, he said. Hong defended the South Korean lodge next to the MSDF precinct, saying he believes it did not intentionally choose the site because of its proximity to the military facility. He also said the number of troubles involving Korean tourists in Tsushima seems to have declined with both Koreans and Tsushima residents getting accustomed to each other. In the city’s streets, supermarkets and public toilets, there are signs written in the Korean alphabet. Hong said his company is eager to expand its business in Tsushima and hopes to increase the number of resort hotels as well as develop a golf link. If the conservatives want to count naturalized citizens as foreigners then perhaps it’s time to do a reverse Admiral Perry and close off Japan/Nippon. Since their population is decreasing in about a decade the may be more reasonable to becoming a melting pot similar to America, not perfect by any means but better then waht appears to be going on. Of course a more reasonable approach would be to vote these morons out. Since Japan is a jus sanguinis state as opposed to Jus soli state, there will be problems. They need to repeal the Nationality Law of 1950 and allow dual nationality.